If it’s too good to be true, it normally is. Well, not in this case! Monopoly are about to bring their game to the streets of London, with a REAL LIFE version! For one day, London’s Oxford Street will become a real-life board – and you can even collect £200 passing Go. 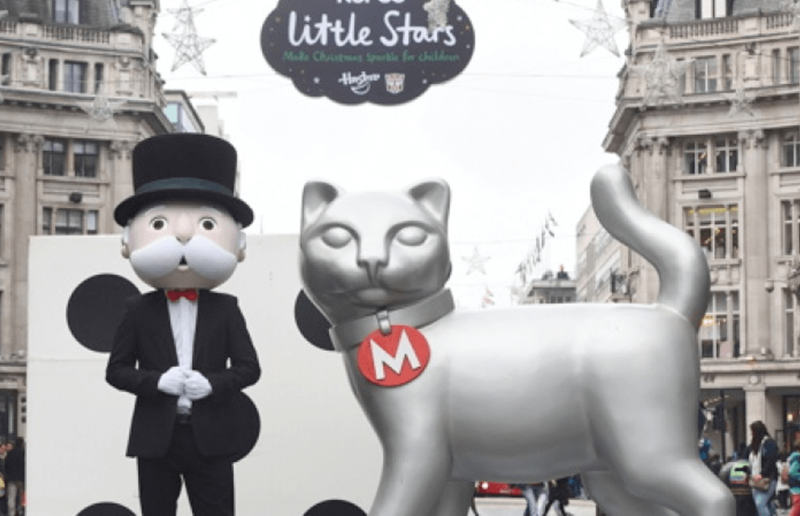 The games famous mascot, Mr Monopoly, will be giving 50 shoppers who ‘pass GO’ a £200 gift card to spend on their Christmas shopping – nice eh? It’s all taking place on November 6, when the entire street will be closed and the game will be staged as part of their famous Christmas lights switch-on. There will also be a chance to snap a selfie with many of the famous pieces used in the game, with the cat being brought to life to a scale of 1.8 metres in height! 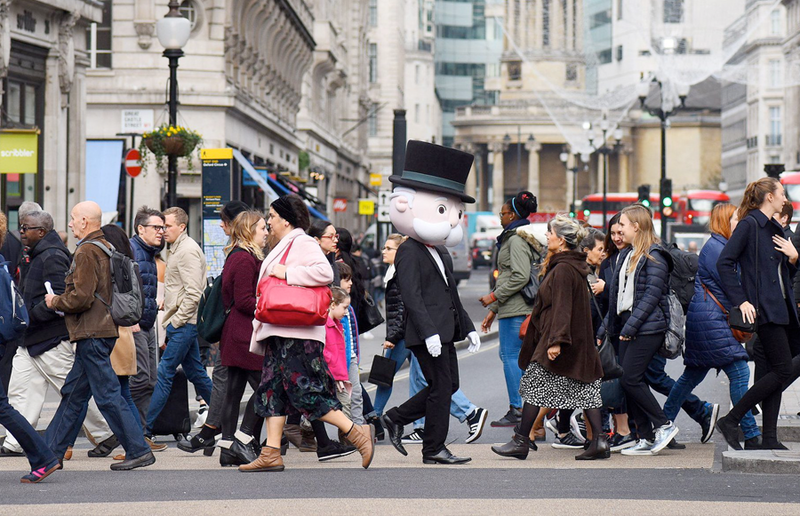 The board will be able to hold ‘tens of shopper’, with Craig Wilkins, from Hasbro adding: ‘We’re really excited to see Mr Monopoly in action at Oxford Street’s First Family Festival, handing out Christmas treats.